Customer Picture Number 154 Selected. Cool Car decals applied. 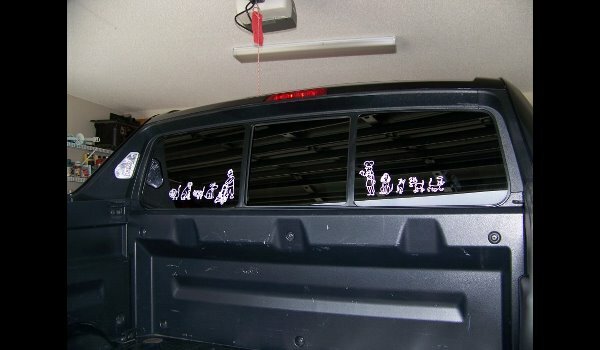 The family stickers looks good how you cut it apart like that. Good fit for the nice Honda Truck!